You see, I got lucky. I was joining a company founded by two designers—creatives, with big imaginations. They were never interested in the “read-it-do-it” way of doing things. 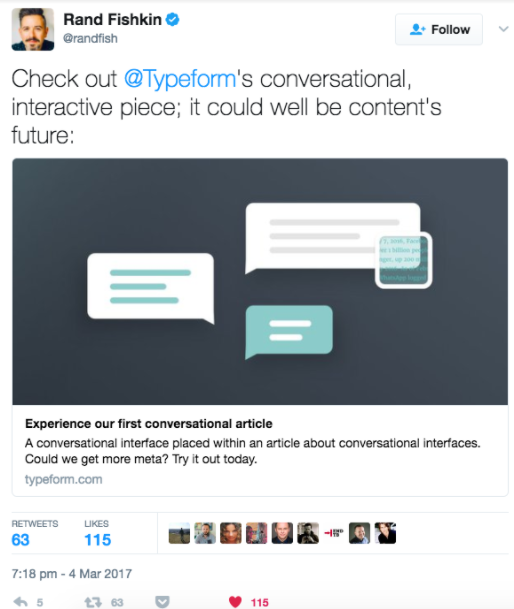 Typeform was a product admired for being different, not just better. So anything we put on our blog had to take the same path, even if it cost more money and took more time. 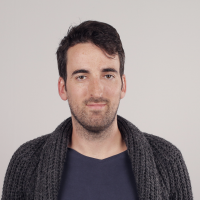 What Is 10X Content, Anyway? Disclaimer: I have zero authority to be telling you this. It was, in fact, power marketer and all-round-good-egg Rand Fishkin who first referred to 10X content in one of his Whiteboard Fridays. In the video, Rand proposed placing content on a scale of Panda Invasion to 10X. It doesn’t take one of Elon Musk’s engineers to work out which end of the scale is the good end. Cool-looking guide. Slow as hipster-cooked pork. Although we’re not quite reaching the full 10X milestone yet, I’d like to show you how trying to get there is helping to move the needle for multiple KPIs, even though we didn’t exactly plan it that way. If you have SEO baked into your strategy, you might be focusing most of your time on creating super-targeted, intent-driven content to match with all those lovely keyword queries. But without backlinks, your SEO-focused content means nothing, right? For anyone who has done it, you’ll know that getting people to link to landing pages designed for conversion is no mean feat. I mean, why would anyone link to them? They’re designed for one thing—to make your business more money. We’ve seen that by trying to go 10X with our content, backlinks come to us without having to ask for them. Why? Simply because we’re producing something interesting or useful, that people want to tell others about. Pretty simple when you think about it. Now, getting these particular pieces of content to rank in Google was never our main objective. For some of this stuff we’re creating, even if we’re #1 for a load of queries, the traffic that comes through would be so far above the funnel that we wouldn’t see much in the way of conversions. For example, take our conversational article experiment. The topic? A deep dive into the history of conversational UIs and how technology imitates art. The experiment? Offering a new way to experience online articles by integrating a chatbot that gives you a kind of director’s commentary as you read. Number of CTAs leading readers towards our product? Just the one, standard CTA in the footer—which not many people, unsurprisingly, clicked on. So what’s the benefit of getting backlinks to this page? Backlinks mean domain authority and lots of lovely link juice (not something you can buy from your local Starbucks). With some well-thought-out internal linking, you can pass that link juice to the pages that really need it (because they convert). So, instead of tirelessly trying to get people to link to a page that converts well but doesn’t appeal to a wider audience, try creating amazing content that people do want to link to and find other ways to push that SEO authority to your high-converting pages. Well, you know, if you want to. How many press releases have you published on one of those PR distribution sites that promise you more exposure than a public sauna? Lots, right? And how many high-quality publications have actually picked up your news and written about it? Not many, huh? Yup, we’ve been there. Time to rethink how to do PR for your business. 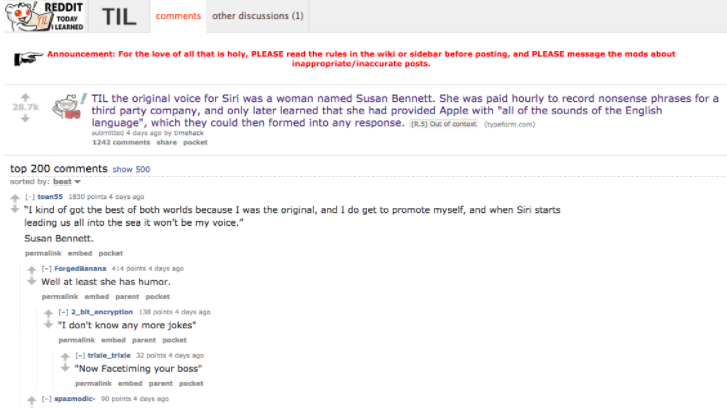 We were lucky enough to secure an interview with Susan Bennett, the original voice of Apple’s Siri. Before we put our questions together, we watched and listened to other interviews she’d done. We noticed that everyone was asking the same questions and that once you had heard one interview, you had pretty much heard them all. With that in mind, we tried to find a new angle for our interview. Instead of focussing on what it was like for her to go from unheard-of voice actress to one of the most famous voices in the world (ok, we touched on it a little) we focused on how some key moments in her career had coincided with big advancements in conversational technology. Something we didn’t expect to happen was for big publications to consume our content and then rehash it into an article for their own sites, referring back to us as the original source of the interview. Check out our referring domains chart from Ahrefs. Are you finding it hard to get actual traffic back to your site from social media? Us too. We mostly use social as a way to engage with our audience and have a bit of fun. However, for our Siri interview, social had something else in mind for us. A Reddit user kindly shared our interview, and within no time at all, it had trended on Reddit’s “Hot” list and had accumulated a cool 30k upvotes and 1k+ comments. I’ve left it to last, but only because if you remember just one thing from this article, I think it should be this: teams that are empowered to make 10X content will be 10X more motivated than those who are not. Think about it. Are you more likely to go home and tell your family about the 500-word article about contact forms you wrote today or the fact that you played a part in the potential future of content? Rand’s words, not mine. In my opinion, underestimating the power of motivation is a big mistake. When deciding on your next piece of content to create, your next product feature to build, the next policy to implement, or whatever, don’t just think about how traffic, social shares, and conversions will be impacted. Ask yourself, “How much will this motivate the team?” Products, content—and just about anything—that have love poured into them will almost always get the best results. Even if that result is simply a happier team that’s ready and willing to take on the next challenge. Typeform may have been good-looking forms and surveys two years ago, but that was just the first chapter of our story. The next chapter will be a narrative of innovation and experimentation, all with the purpose of making the way people collect data more human. My team and I will continue to put our heads together to think up new ways to deliver unique experiences through content. We’ll keep investing time, money, and resources—and we won’t expect everything to work every time. And what about you? What are you creating on your road to 10X?